Animal Silhouettes Brushes - Free Photoshop Brushes at Brusheezy! 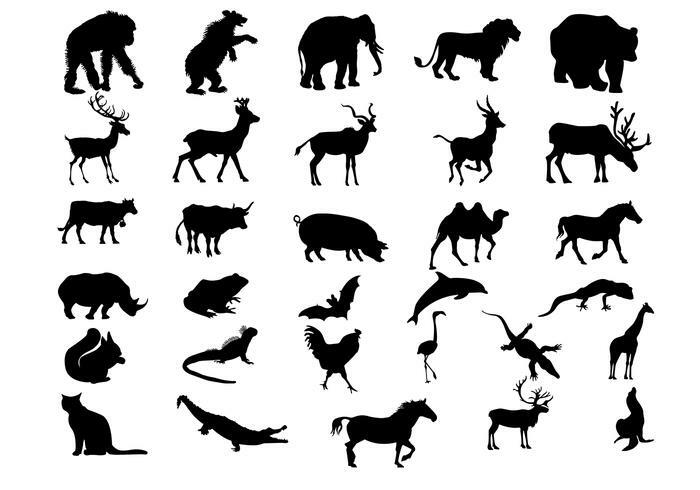 This Animal Silhouettes Brushes Pack contains a huge variety of animal silhouette brushes that are so realistic you'll think you are staring in the face of a bear. Or a deer... or a horse, or a whole other slew of animals that are included here. These animals come straight from the desert, the forest, the beach - pretty much from where ever you are looking for! However, if you are on the move for animal silhouette vectors, you should trek on over to Vecteezy to download the <a href="http://www.vecteezy.com/Birds-Animals/6657-Amazing-Animal-Silhouette-Vectors-/premium" target="_blank">Animal Silhouette Vectors</a>!